We’ve included some questions and answers about Prism on this page, but – if we’re being entirely honest – we’d much prefer to answer your questions to your face or ear! So, if you’d like to know more about our nursery management software, or just fancy a chat, please do give us a call. 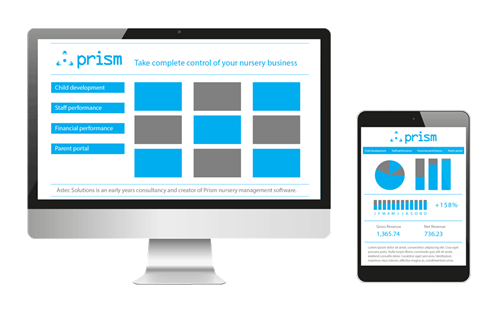 Don’t forget that one of our early years professionals will be happy to pay you a visit to show you exactly how they’ve used Prism to both improve childcare quality and boost their business. Book a demo. How much does Prism cost? The cost of Prism will depend on your need. We can offer you a tailored package that suits the size and need of your business, as well as flexible payment terms. You can even split the cost of the solution over several years and, if you need a little help, we can arrange financing to make it easier for you. Not only will Prism help boost your business, it’s affordable solution too! 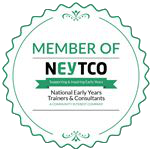 Does Prism record EYFS observations? It certainly does. Even better, a key driver in Prism’s development was the desire to make recording observations against the EYFS framework as easy and as practical as possible for practitioners. Schedule a demo to find out just how easy Prism is to use. Can I use Aistear, Síolta or other early years frameworks with Prism? Yes you can. We can tailor Prism to meet the needs of mandatory and custom frameworks. Does Prism integrate with Sage? Yes. It also integrates seamlessly with other platforms that you may desire it to integrate with. Let us know your particular needs and, if it doesn’t already fit, our team of developers can write, test and develop a solution tailored especially for your needs. What do I need to run Prism? All you need to run Prism is 1) an early years business 2) a wi-fi connection 3) an HD-screen (eg. 1920×1080 resolution) for optimal display of the main back-office dashboards. If you are unsure, we can help you with that. We can also advise you about your internet connection and, if necessary, refer you to a wireless LAN specialist through our partnership with Blueberry Consulting. Can we have some cake? No. Well, maybe a little. Find out how to motivate your team without cake! Prism uses Microsoft Azure cloud to securely store your data, giving you access to an enterprise-class data management system. This includes multiple back-up facilities and 24-hour access to your data amongst much else. To give you added confidence, we’ve included a number of additional security features within Prism. To find out more, please do get in touch with one of our IT experts. Does Prism work with Macs, PCs, Android and Microsoft Windows devices? Yes it does. Prism is a multi platform solution, so you can use whichever tablet device you fancy. For the core back office module, you do need a Windows PC. Is Astec Solutions on twitter? Yes we are. Follow us @AstecEY for useful news and views and don’t forget to say “hello“. Give us a call on 020 8655 7888 or send us a message! Want to know something about Prism? Please do ask!